Today we continue our look at the monuments along Bristol’s Memorial Boulevard. 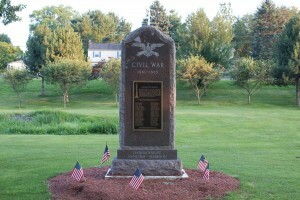 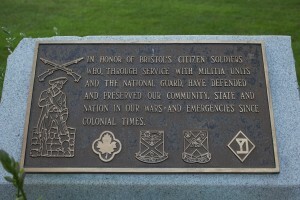 The newest Memorial Boulevard monument was dedicated in 2011 to honor Bristol’s Civil War veterans. 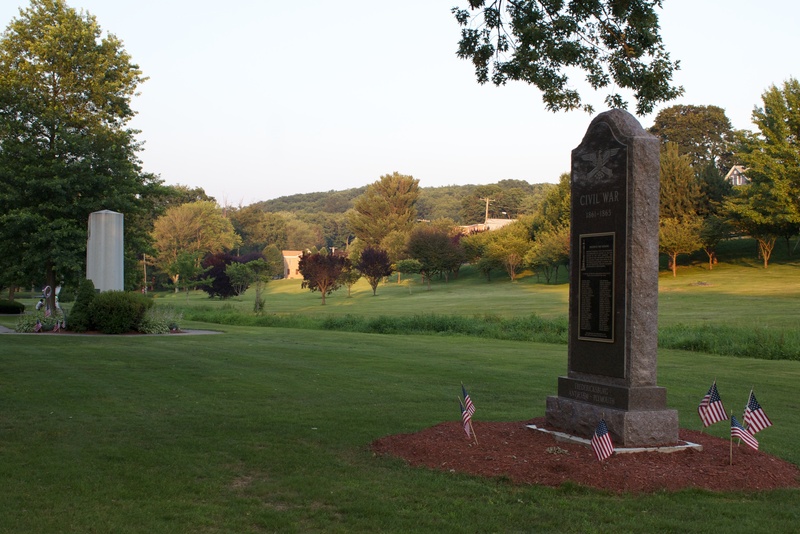 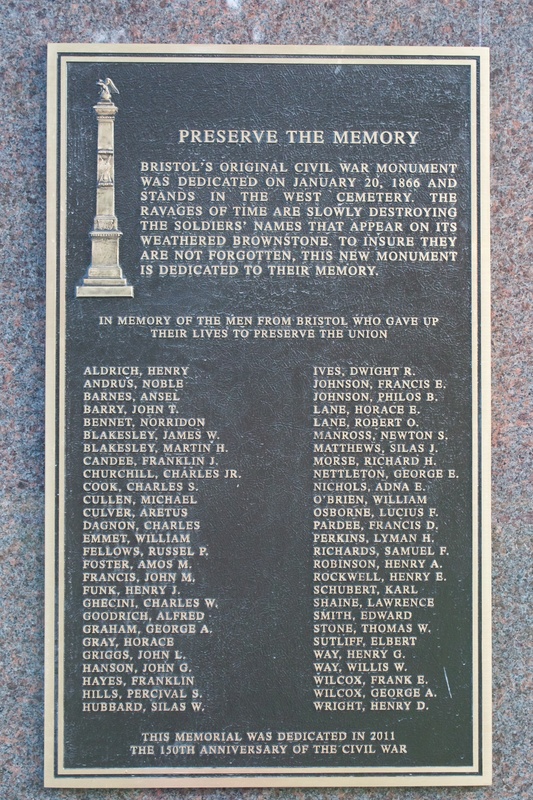 Bristol dedicated a brownstone Civil War monument in 1866 in the city’s West Cemetery (one of the earliest in the state), and added a the Memorial Boulevard monument this year because the 54 names on the original monument have become difficult to read with the passage of time. 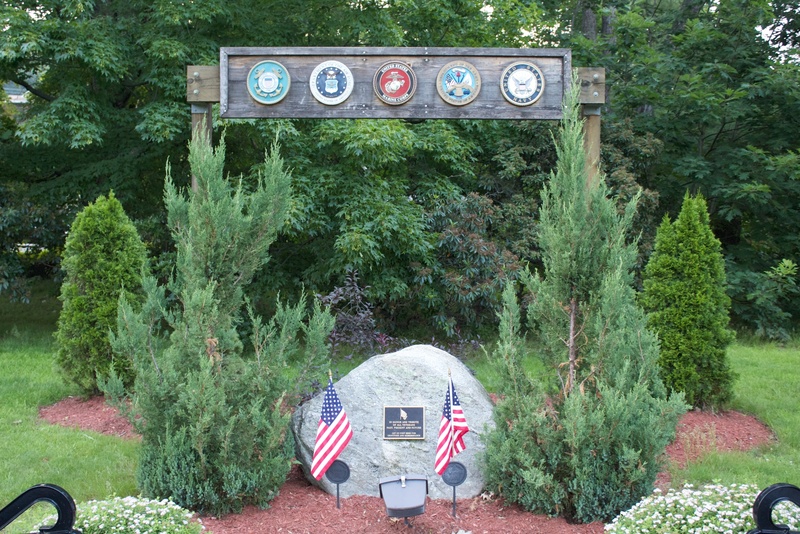 The 2011 pink granite monument, next to the city’s monument honoring its World War II and Korea heroes, features a large engraved eagle and crossed cannons. 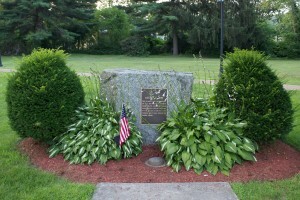 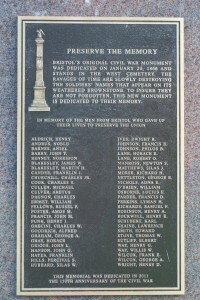 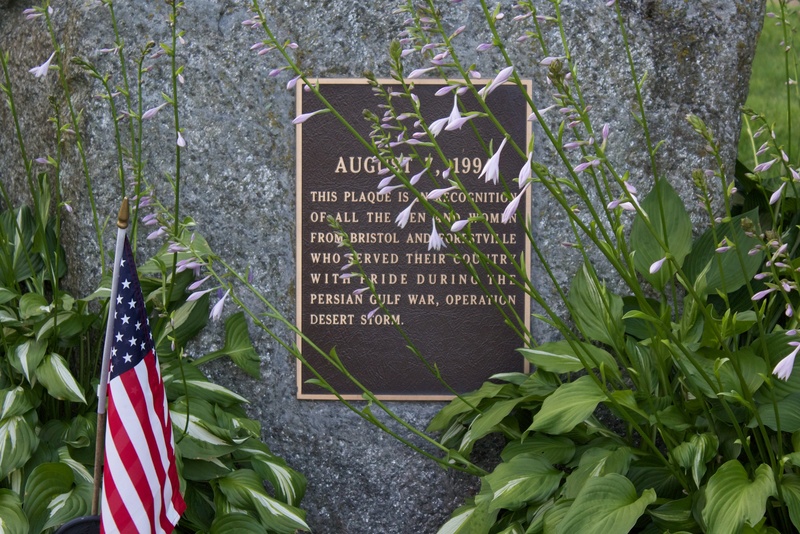 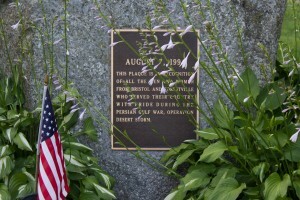 A bronze plaque on the monument’s north face lists Bristol residents lost in the Civil War, and describes the history of the West Cemetery memorial. 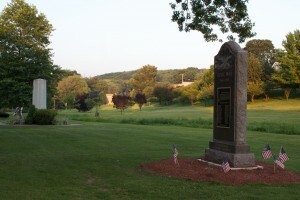 The base of the monument honors the battles of Fredericksburg, Antietam and Plymouth. 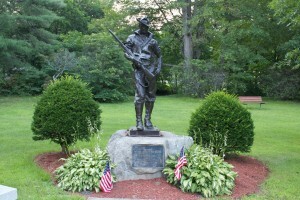 Near the veterans memorial, a copy of the Hiker statue honors Bristol’s World War II heroes. 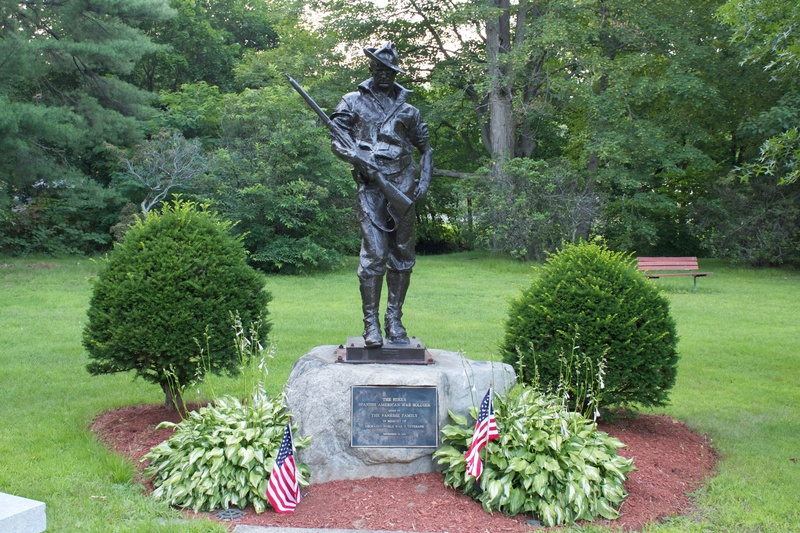 Bristol’s original Hiker statue was dedicated in 1929 to honor the city’s Spanish-American War veterans, and the Memorial Boulevard version was dedicated in 1983. 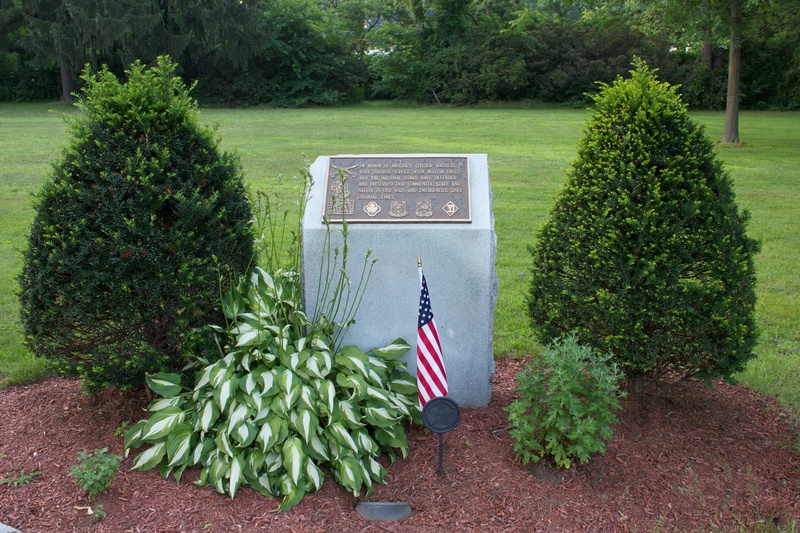 Bristol’s Memorial Boulevard was dedicated in 1921 to honor the city’s World War I veterans. 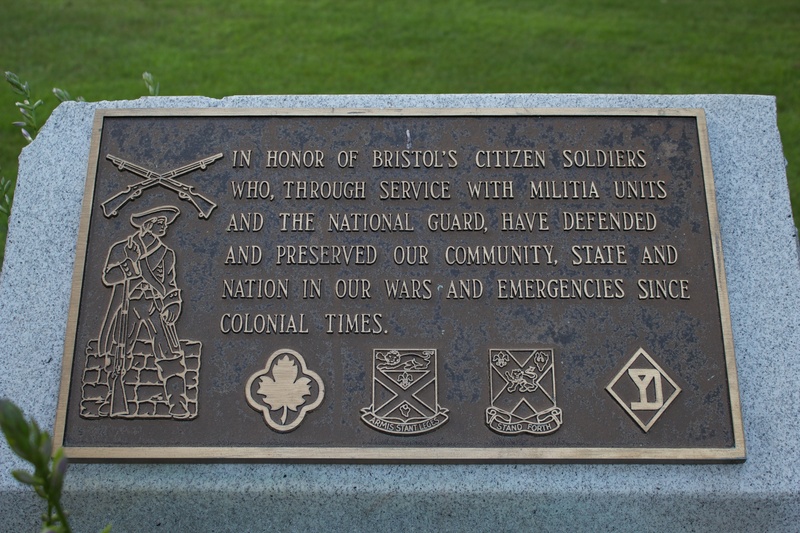 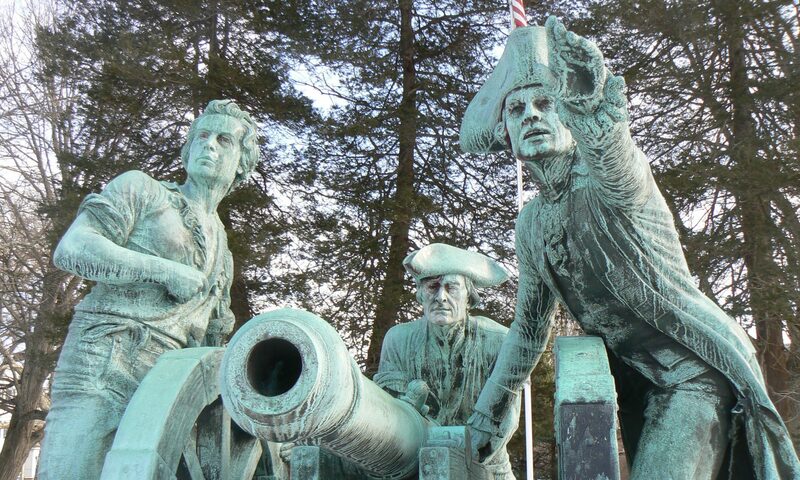 Over the years, the collection of monuments has grown to honor the service of Bristol’s veterans as well as the sacrifice of its war heroes. Bristol industrialist Albert F. Rockwell donated land in 1919 for Memorial Boulevard and a nearby high school that is used today as a middle school. Rockwell owned successful ventures in coaster brakes for bicycles, automotive ball bearings and, during World War I, Marlin-Rockwell machine guns.